Once upon a time, legend told of a magical charging pad that could power up a smartphone, watch, and wireless earbuds all at the same time. Reports from locals who claimed to have seen it even mentioned that it bore a mark that looked like half-eaten fruit. However, despite all the prophecies and rumours, no one has been able to show proof of such a device actually existing. So armed with a dream and some gadgets, I set out on a quest to find that mythical wireless charging pad. Don't Like: The sweet spot for charging each device is somewhat limited and requires more precision than you might think, cord is hardwired. In the end, what I found is the SliceCharge, which looks and functions a lot like Apple’s fabled AirPower charging mat. Sort of. OK, so the one I tested for this review is blue and not white like the vaporware Apple teased last year, and the technology inside is probably different than what ever Apple has planned. But aside from that, the SliceCharge looks incredibly similar to that one AirPower concept shot Apple released. 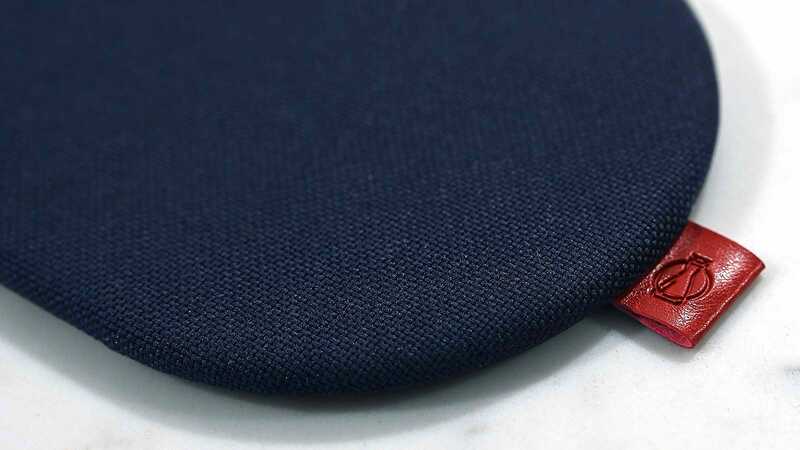 The top of the SliceCharge is covered by a textured fabric that feels kind of like linen, while the bottom is aluminium to give the thing a bit of stability. The only other notable physical characters about the SliceCharge is its hardwired power cord—which at about two and a half feet long—is sadly shorter than ideal. Oh, one more thing. The SliceCharge doesn’t come with a power brick. That means you’re going to need to buy one or find an unused one lying around, preferably with a USB Type-A port and Qualcomm QuickCharge 3 support to ensure that you get the most out of the SliceCharge’s capabilities. Once you’ve got the power brick thing sorted out, things should be smooth sailing from there right? After all, how complicated can a wireless charger be? Well, it’s not so simple, because even though it looks you should be able to just toss your gadgets on top and let them power up, things aren’t quite that easy. That’s because the SliceCharge is actually three wireless chargers smashed together, with two Qi-compatible pads on either end, and a third charger jammed in the middle specifically designed to recharge an Apple Watch. Other devices like a Samsung Galaxy Watch or Qi-wireless won’t charge when placed in the middle. Furthermore, while the total area of the SliceCharge is pretty generous, the actual sweet spot for where you can successful recharge each gadget isn’t nearly as big. This sometimes means you’re forced to fiddle with the position of each gadget to ensure it’s receiving a charge, or else you run the risk that you come back minutes or hours later only to find your gadget still gasping for juice. That said, I found that after a few days use, you do tend to become familiar with where things should go, though I still wish there was just a bit more flexibility or maybe even some markings to eliminate some of the guesswork. And as advertised, the SliceCharge does send 7.5 watts of power to both ends. And with both the left and right side featuring support for Qi wireless charging, it doesn’t really matter which side of the charger you prefer to rest your phone. 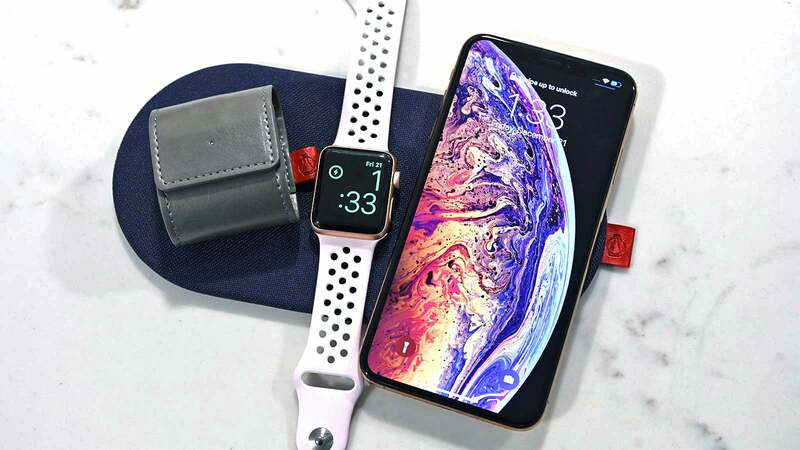 One other little caveat is that when Apple first announced Airpower, they showed the mat charging up an iPhone, Apple Watch and a pair of AirPods. 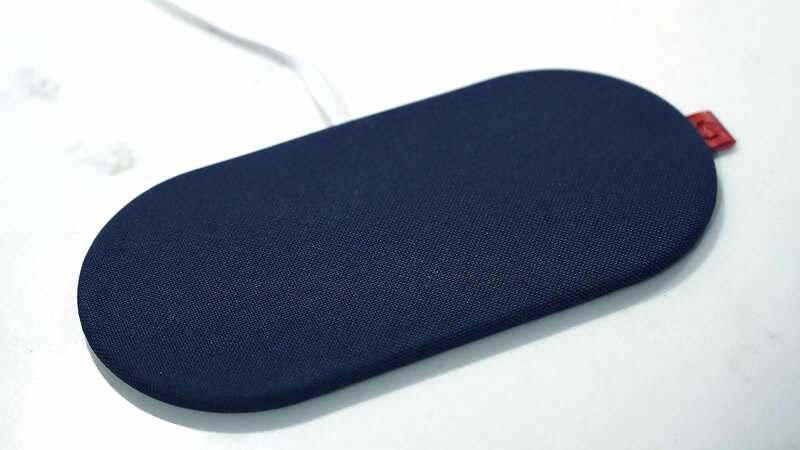 However, since Apple hasn’t actually released AirPods with wireless charging support, if you want to get the same effect on your wireless buds, you will need a wireless charging add-on for your AirPods. 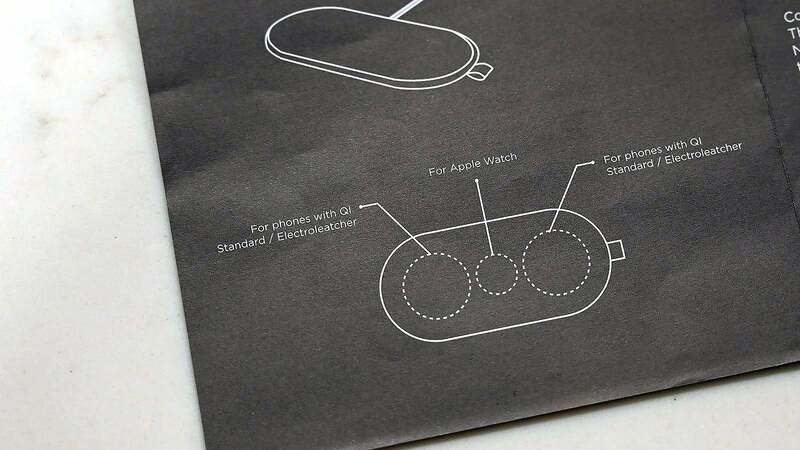 Unsurprisingly, Hard Cider Labs makes something called the ElectroLeather that does just that. 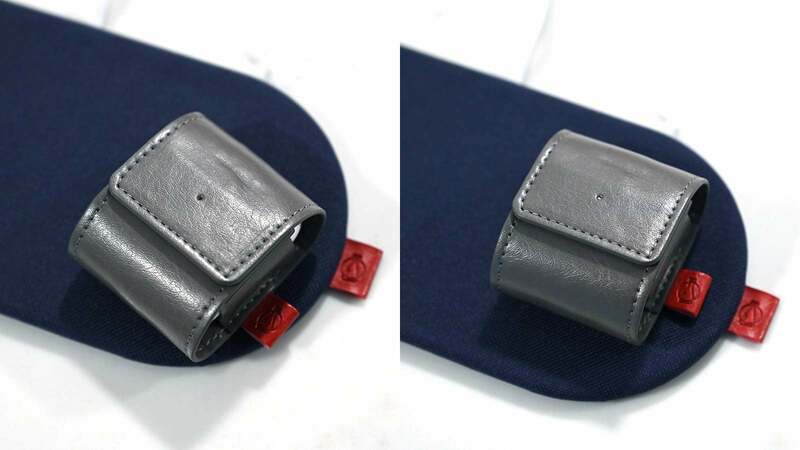 However, as the SliceCharge is based off the Qi wireless charging standard, you aren’t required to use ElectroLeather, as any AirPods wireless charging adapter should work. Regardless of which wireless adapter you go with, if you get a SliceCharge, you will want to look for one with an indicator light so you can make sure your AirPods are getting juice once you plop them down. 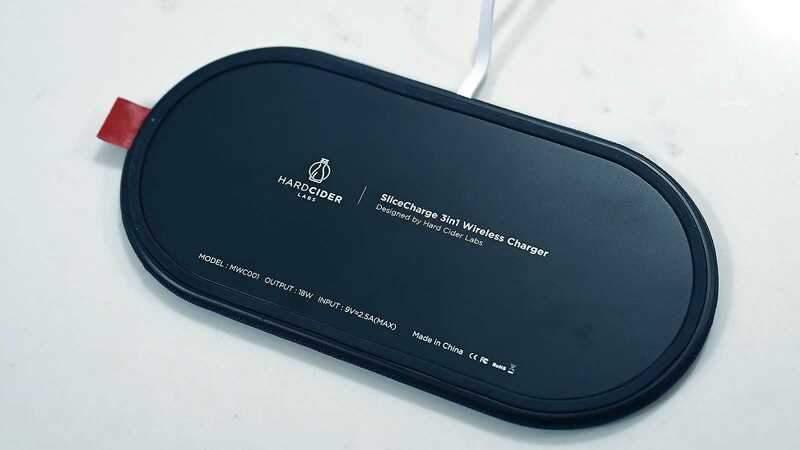 So at the conclusion of this particular quest, while the SliceCharge doesn’t quite fully deliver on the legend of the mythic AirPower, it is a simpler alternative to putting three individual wireless charging pads on your nightstand. And with a price of just £48, it’s pretty affordable too. The SliceCharge really can power up three devices at once, but it’s rather finicky, so you can’t just toss your gadgets on top and assume they will charge. The SliceCharge supports up to 7.5 wireless charging, which is the current max for iPhones, but slightly less than some other charging pads out there. 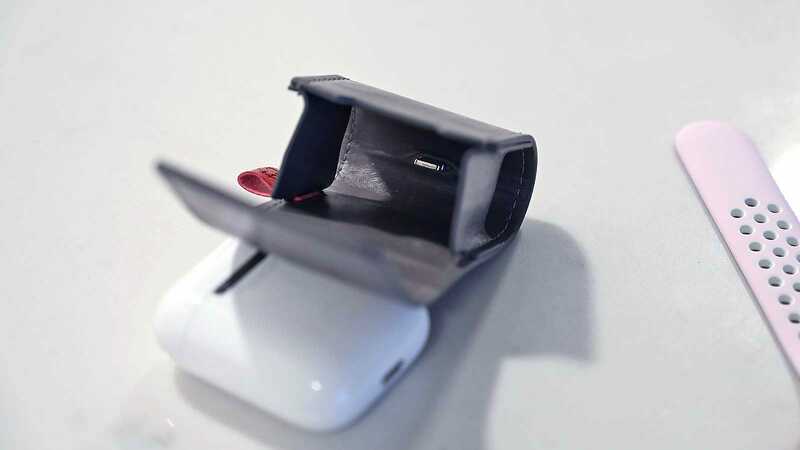 If you want to wireless recharge AirPods, you’re going to need an adapter of sorts like Hard Cider Labs’ ElectroLeather. Doesn’t come with a power brick, so you’ll need your own. And it’s power cord is hardwired, so you’ll need an adapter with a USB-A port.